Adventures of the Polka-Dotted Teacher: Eggcellent! The Hunger Games did not let me down! I thought it was great! I thought it was pretty dang close to the book. I'm Team Peeta. How about my bloggy friends out there? Well, I know I kind of already posted today, but I made a freebie for you guys that I just had to share! It's Friday, I'm 25, shouldn't I have more of a life? Don't answer that. I loved these cute little eggs from Graphics from the Pond! 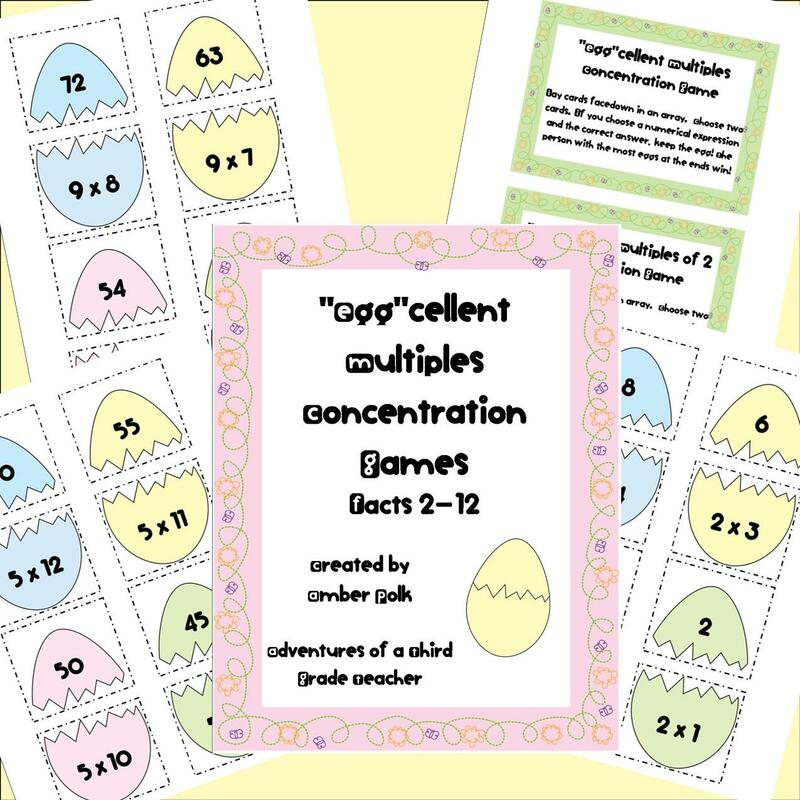 They are so stinking cute and so very perfect for math facts. 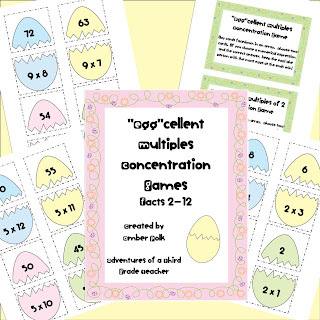 So I decided to make some games to review multiplication. My kids love playing concentration games for some reason. So, I obliged. This file is huge. Every fact from 2-12 is in there! Well, technically the 1's are in there too. You can play each fact set seperately, or combine several fact sets together. It's up to you and your kiddos. Oh and I'm linking up with Michelle at the 3AM Teacher. She is hosting a linky for all of us out there hosting giveaways. Be sure to enter her giveaway and well mine! :) Click on the cute little pic to check out the linky! Hopefully I'll get around to sharing some things we have been up to this week in my classroom! Have a great weekend! Love the multiplication eggs!! They will be a great review for my kids! I am Team Peeta too. I am seeing it today! I love your new layout! Where did you get it? TEAM PEETA!!!! :) Cute multiplication idea too! Last Chance and a Flash Sale! Dreaming of the Ocean and a Freebie! Back to the Real World and a Freebie! Monday Goodies, Currently and a Time Freebie!